ProRoofer is 100% responsive and Retina ready looking stunning on all devices. To showcase your works and projects, you will find a variety of gallery layouts at your disposal. 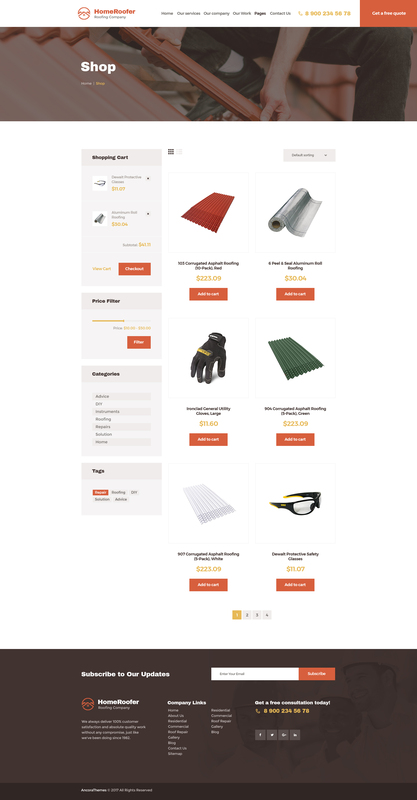 We made the theme WooCommerce ready, so building an online store of building tools and equipment shouldn’t take you much time and efforts. ProRoofer theme is compatible with a bundle of premium plugins: Revolution Slider, Essential Grid, WPBakery Page Builder, etc that make your work both easier and more effective. 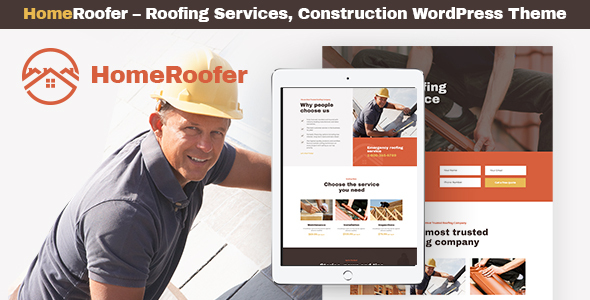 Do not miss a chance to give an exposure to your construction business with ProRoofer!